Creating logo for companies or organisations is always a challenging job. But it is necessary to make them unique and exclusive as well. However, if you have a deadline to submit the project and you have to start designing from scratch, it would be very difficult. So it is wise to download the different design icons and templates which are available for free. As you get the basic layout for the design, it will be possible to use the editing software and make the design of your choice. The logos have either hidden or suggestive meaning which should be very carefully placed so that the potential customers can easily relate product with the logo. Generally, these logos are ideal for companies having to do anything with chemicals. Also, these logos find ample usage in posters meant for events of chemistry institutions, etc. Be it round bottom flask or cone shaped bottom, these logos are perfect to create the laboratory based products. For instance, pharmaceutical firms, chemist businesses, and material science business can use these particular designs to make their brand’s logo. Hurry up to download this inspirational logo designs to create desired logos. 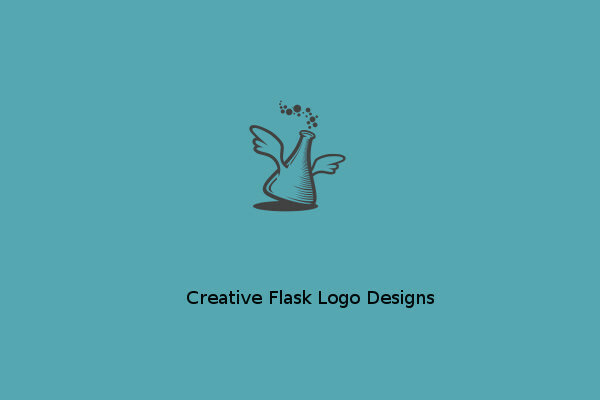 If you are a new designer and want to start your designing course with the easiest logo designs, flask logo could be a great option. It is also necessary that you understand the purpose of the logo design. Choosing the colour gradients of the flask, and the right background is imperative, for the final design to look good when translated in to flyers and brochures. These design icons can be used for both commercial and personal projects.